The colour pink is prominent today at Thomas A. Stewart Secondary School as they are holding an anti-bullying event spearheaded by teacher Kim Driscoll. 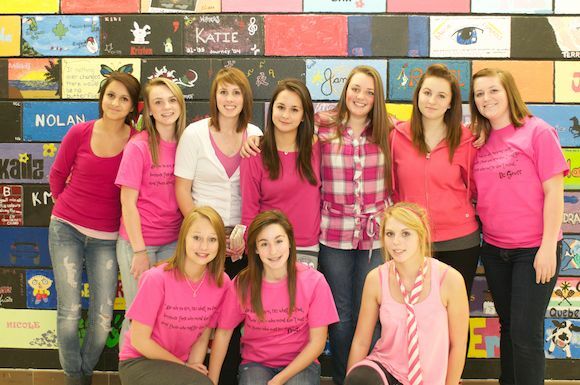 The theme was to wear pink to send a message that students are taking a stand against any form of bullying. Anti-bullying programs work, schools say, and more and more are focusing on stamping it out at their schools with such events. Kim Driscoll had T-shirts made for the event. Every one of them sold out. Pink was chosen as the colour to be highly visible to help spread the message that the issue exists and for sympathy to those affected by it. Kim feels that it is a very real issue and is pleased by the involvement of the students and the teachers.